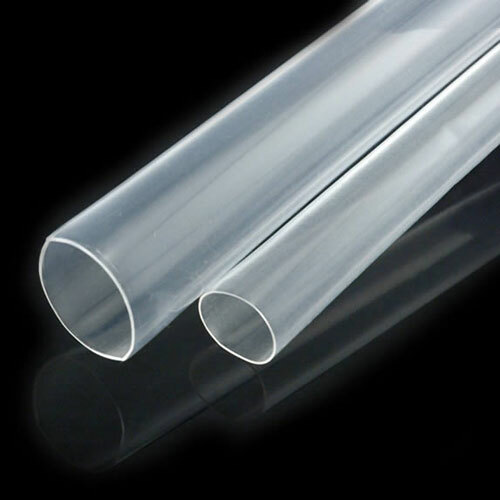 RT-375 is a highly flame-resistant, heat-shrinkable, thin-wall tubing that has excellent clarity. It is manufactured from a modified fluoropolymer whose properties include toughness, chemical resistance, and high-temperature performance. A very thin wall gives RT-375 excellent flexibility. Applications include protection of wire and cable markers subject to abuse; bundling and jacketing of wires and cables to protect them from mechanical and chemical abuse while permitting full inspectability of the item covered; and protection of electronic components without losing the ability to identify the part. RT-375 is UL-recognized and CSA-certified at 150°C, 600 V, with a VW-1 flame-retardancy rating.